SALT LAKE CITY October 2, 2017 – During National Crime Prevention Month, Attorney General Sean D. Reyes urged Utahns to educate themselves about affinity fraud, identity theft, and other forms of white-collar crime, especially those who are vulnerable to predators. With the recent data breach at Equifax, it is especially critical that Utahns take steps to protect themselves. 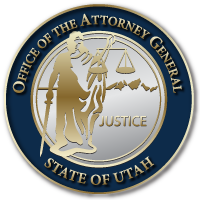 “While the Utah Attorney General’s Office fights crime every day—from human trafficking, drug smuggling, Ponzi schemes and public corruption to cyberattacks, identify theft and child predation on the Internet—we would like to highlight the danger of these latter threats as we focus on crime prevention this month,” said Attorney General Reyes. “We also want to raise awareness of resources to empower Utahns to protect themselves and ones they love. “The Utah AGO has prioritized the protection of businesses and consumers. With the massive data breach at Equifax, it is critical to the protection of consumers that they take steps to guard their credit and identity. Please take measures to monitor your credit, shield your identity from cybercriminals, shred old documents, and conduct research before you invest. “Additionally, parents should take further precautions to assure their children under the age of 18 are protected, both against identity theft and from dangerous online predators who will not hesitate to exploit children. Kids are often targeted so criminals can use their information to create fake IDs, open credit card accounts, take out loans years before anyone ever thinks to run a credit check on the children. The best tool for stopping this shadowy crime is prevention, including the Utah Child Identity Protection tool. The Office of the Attorney General recommends a few of the many online resources to consumers. WCCOR: Created in 2016, the White Collar Crime Offender Registry allows investors to check out those who bring investment opportunities. Supporting local community and neighborhood watch groups is another effective method in creating safer neighborhoods. You can find out more about your local community watch through Unified Police or local police department. This entry was posted in Internet Safety, Recent Posts and last updated on July 5, 2018 .